I'm having trouble trying to figure out how to time an engine i'm designing in CAD and will build. There's not much room inside the valve cover and front cover. My original thought was to use an MXL belt and pulleys but they won't work with the shaft diameter and overall OD the pulleys would be. My though right now is to use sprockets and a chain. I'm wondering is there a small low profile chain tensioner that anyone has made before. Any and all suggestions will help. preferably something simple but I guess i'll have to use gears for it being such a small area. There is a company in japan who created a gear driven system for a Datsun engine. I'll have to take some inspiration from that. I'm not sure where I can get gears that would work though. The crank diameter is .5 and the timing needs to be 2:1. I have access to 3/4/5 axis CNC machines. So I might have to make custom gears that would fit over the .5 crank shaft? Also i'm going to have to have each gear adjustable to get rid of backlash? Reducing the crankshaft diameters beyond the main bearing at the point where the MXL cogs go may work in your design. Without any reference numbers provided here nor the scale size, an example of a crank nose at .625 in. can be turned down to .312 in. to accommodate a 60/30 tooth cog set. The cog flange diameters are about 1.7 in and .95 in. for the example's cam drive case clearance needs. The alternative is a CAD rework of the cam drive area. I just see now your post with the .5in crank diameter. So I think I can make the 60/30 pulleys work if I make the end crank diameter .375, once I bore the id some. So to attach the lower pulley I could just machine a flat in the crank and have a setscrew in the pulley like in the pic? Also tensioning the belt is a little tricky because it has to go around the water pump passages in the front cover. I'm thinking one idler at the inspection cover in the head and a tensioner closer to the crank? The hub dia. of a 30T cog is about .550in. You will be catching about 4 threads of a #6 set screw with a .375 in. overbore. Dual setscrews with a flat seat on the crank "may" be enough. A solution to inadequate hub diameter is to make a collar to press fit / epoxy around the existing hub and re drill for a longer setscrew and more thread area. You can pre- drill the collar to line up with the hub setscrew holes and drill the next thread size up. Your water pump box is an issue working a belt around by idlers. You would need to be dead nuts on the belt tooth count too. What I would think about, looking at your photo, is eliminate the water pump box section under the cam drive cog for an external cam drive set-up with idlers on engine mounted brackets to give you more lead way as well as a sprocket guard bolted to the engine or as part of the valve cover. I think I might even be able to use a 42/21 pulley if I bore the 21 pulley out to .375. That leaves .047" of wall thickness, I think that will be enough, what do you think? In an ideal world yes I would have the timing drive outside of the valve cover and front cover but then it won't look much like a datsun engine. If you are determined to an authentic recreation, then that decision is made for you! Which Nissan engine are you modeling and how did they drive the cam? 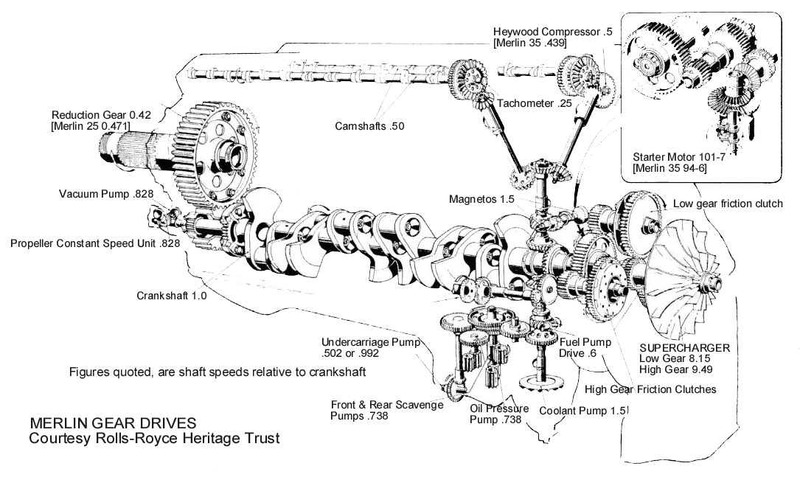 If the wall thickness refers to the cog hub on the crankshaft....you are now down to less than two threads. I'm making an L16, used in a bunch of different Datsuns from pretty much 68-79. I have one in pieces in my garage so i've just been using that as a guide. I'm probably one of the youngest people on here at 22 so I'm just figuring out what needs to get done and how I can do it as I model. This is my first engine project ever so any pointes would be cool. A very big project as a first but then again you won't be the first - neither to succeed nor fail as a first .... though that said, it is usual better starting with an easier design and then go gradually more and more difficult. I still wish you the best and hope you will continue no matter the result. These are the pieces i've made so far. Let me guess - you have access to a nice CNC mill ... - don't get me wrong, as this still requires creating a good tool path in order to avoid some not very nice mishaps (if you haven't got a clue about those, you don't know CNC yet ). yup I work in a CNC job shop. I started about 3 months ago from knowing nothing about machining. we got five 3 axis haas mills and just got a 5 axis haas 3 weeks ago. Bad Behavior has blocked 14590 access attempts in the last 7 days.